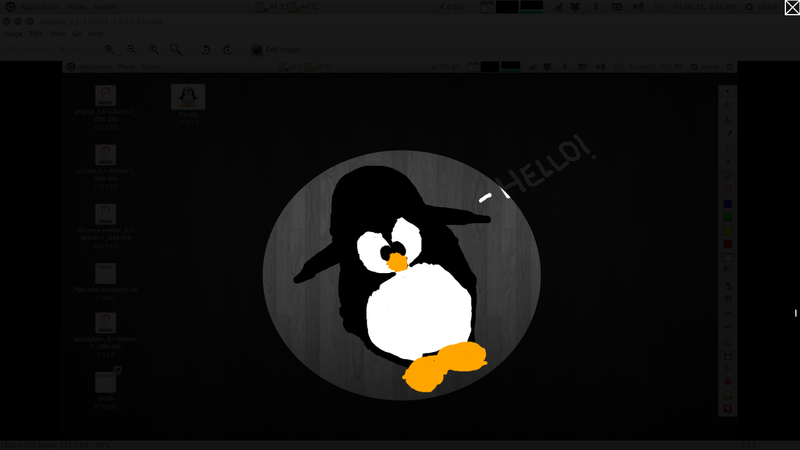 Ardesia is a free open source application that turns your Linux device into a digital sketchpad. You can make hand drawn annotations, figures, a quick sketch, do some artwork or just use it for fun. Drawings can be made using many pointing devices like a mouse or a pen/finger on your touch screen device. On the productivity side, this application can be really useful as you can record whatever you are drawing, save it on your system and then share it over a network. Doing live screencasts , demos or on screen presentations is easy as you can stream live whatever you are doing using third party applications like VLC or Icecast. The application is completely free and is under GPLv3 license. 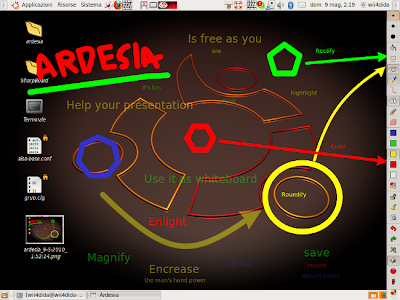 Ardesia needs a composite manager to be able to work and has been tested with Compiz, Kwin, XCompManager (LXDE and Openbox). Also to record your work, you need to have VLC installed on your system. Ardesia provides binary packages for Ubuntu 10.04 and Windows 7. Official packages are only available for Ubuntu 10.04 but you can use the package to install it on Ubuntu 10.10. However, it will show an error that a shared library libbfd is not found as the package points to an older version of library only available in Ubuntu 10.04. You can fix this by creating a symlink to needed library. Just run this command after installing the package. Ardesia Project provides some other packages that aid in making presentations. Florence-ramble is a virtual keyboard that provides a fast way to insert text on the selected window, moving your input device and rambling on keys. 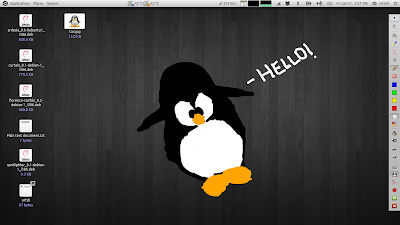 The Spotlighter tool focuses on a specific desktop area selected by the user. 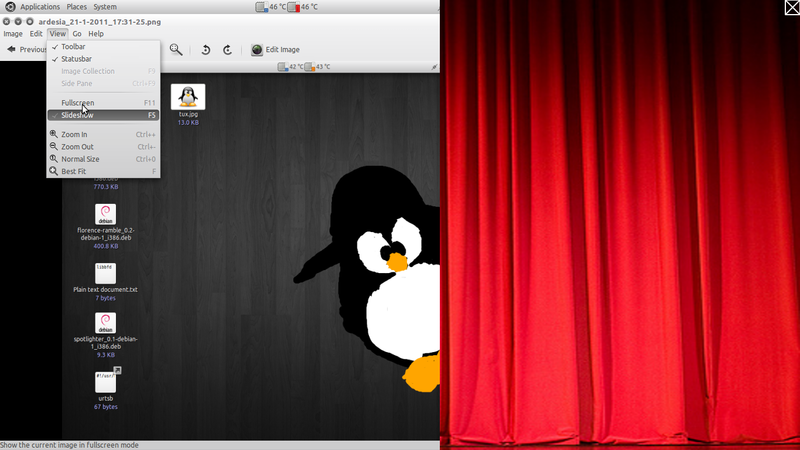 It shadows the desktop and shows a movable and resizable spotlight that highlights the point of interest. 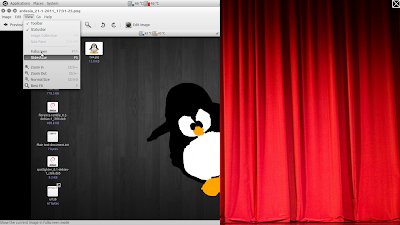 Curtain allows to show and hide desktop areas using a resizable red curtain. P.S. Bear with the Tux drawn by me.